Oak barrels for wine on a stand of 50 liters. main culprit preparation of alcoholic beverages of standard quality. Oak barrels on a stand with a tap and a plug . Almost universal variant for manufacturing wine, cognac . 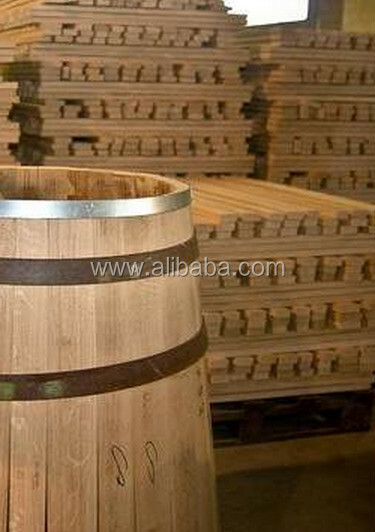 Oak barrels made of natural high quality wood, passed the necessary controls. Guaranteed 100% Crushed Oak . 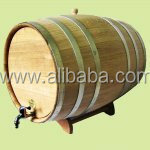 The price includes a barrel , stand, bung , tap. Customs services . Oak Barrel 100 Leningrad- 90 euro / pc. Oak barrel 80 Leningrad- 75 euro / pc. Oak barrel 50 Leningrad- 65 euro / pc. Oak barrel 30 Leningrad- 55 euro / pc. Oak barrel 20 Leningrad- 45 euro / pc. 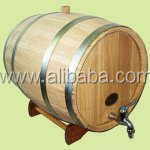 Oak barrel 15 Leningrad- 43 euro / pc. Oak barrel 10 Leningrad- 38 euro / pc. Barrel Oak 5 Leningrad- 33 euro / pc. Barrel Oak 3 Leningrad- 30 euro / pc.